The Diplomaticos No. 5 is an accessible medium-full Petit Corona, with a 40 ring gauge, 4" (102mm) long and comes in box of 25 cigars. The Diplomaticos No. 5 is a good introduction to the tastes that make a Cuban famous. If Montecristo is the mainstream representation and draw of Cuba, Diplomaticos is a very good opening act. 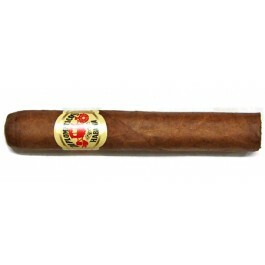 You can’t go wrong with this cigar - reasonably priced and well tasting.